Check out the Britannia Hotels Liverpool attractions guide. Visitors planning a trip to Liverpool may want to consider some of the many fantastic yearly events hosted throughout the city, from the Open Golf to the International Beatleweek Festival. For lovers of music and festivals, Liverpool really is ideal. Liverpool Pride is a famously colourful and vibrant parade, which sees floats travelling through the city followed by crowds of city dwellers. The streets are filled with music, street stalls and entertainment. The International Beatleweek Festival, which celebrates the fantastic music of the most famous pop group of all time, is another highlight. The festival brings together bands from over 20 countries and includes gigs, exhibitions, sightseeing tours and much more. There is also the vibrant International Music Festival, which is Liverpool's biggest music festival. Liverpool has a thriving food and drink scene, which is showcased at the annual Food and Drink Festival in Sefton Park. Visitors can sample the delights on offer and pick up some cooking tips from the local chefs. The event was rated a fantastic day out for all the family. Guests can even use Liverpool as the perfect base for big events close to the city, such as Creamfields Festival which takes place every year. Have a look at our top 'Local Events' in Liverpool in the lines below. 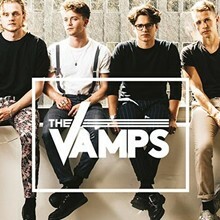 Fresh from their US promo tour where they performed on some of the biggest TV shows in America, The Vamps return to the UK with the announcement of their Four Corners UK and Ireland Tour.